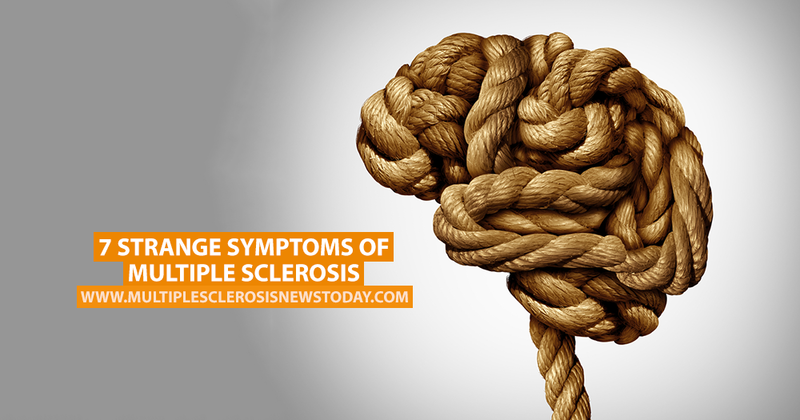 MS is a disease that is unique to each patient, which means no two people suffer from identical symptoms. While there are many symptoms MS patients share such as pain and chronic fatigue, there are also some very strange and unusual symptoms that some may experience. We’ve put together a list of some of the stranger symptoms of the disease based on information from verywell.com and healthcentral.com. The body reacts to the weather. Many MS patients say their symptoms get worse depending on the weather. Humidity can exacerbate the symptoms of MS for many sufferers and some even report feeling strange when there is a thunderstorm—that their body buzzes and feels tingly in an uncomfortable and unpleasant way. The body reacts to dental work. Some MS patients experience a worsening of symptoms following routine dental appointments. It hasn’t been established whether this is stress-related (because few people enjoy visiting their dentist) or for some other reason and researchers have been unable to find a link between the two. Sun exposure is a natural medicine. Conversely, although many MS patients cannot tolerate high temperatures, some report that cooler sunny days make them feel much better and lessens the effects of symptoms. This could be because the body is making vitamin D from the sun’s rays. The body reacts to flying. There have been reports of MS relapses during long-haul flights. There isn’t any medical evidence to suggest why this is happening, and researchers have yet to prove whether it’s due to altitude or being in a confined space for a long period of time. While twitching and muscle spasms are common symptoms in other diseases of the central nervous system such as Parkinson’s disease and ALS it is not generally considered a common symptom of MS. However, many patients do report twitching and muscle spasms, usually in their limbs but also in their heads, torso, and even their vocal chords. Hot feet or extreme sensations of pins and needles in the feet is another one of the more unusual symptoms of MS. Some describe it like walking barefoot over gravel or that their feet are literally on fire even though they feel cool to the touch. This tends to be worse when people are in bed. You feel like you’re being hugged. Feeling like they are being tightly squeezed around the torso or stomach, some MS patients have reported suffering from this odd symptom. The pain is often so intense that patients experience difficulty breathing or fear they are having a heart attack.